The University of Delaware Botanic Gardens began in the 1950s. From its inception, the mission of the UDBG has been education reflected in the establishment of the Clark Garden in 1972. Over the next several decades, gardens were added to achieve specific goals, all effectively enhancing the garden’s impact on education. The master plan is the first holistic view of the garden with three distinct goals. First, the plan seeks to unify the garden and create effective, inviting circulation throughout all of the gardens. 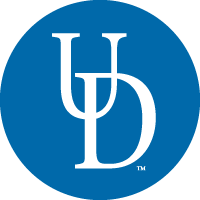 Secondly, it takes a much broader view of the garden to integrate it into South Campus and serve the whole of the University of Delaware by inspiring students and the community while promoting interdisciplinary study. Lastly, as always, to enhance its value as an outdoor laboratory, inspire its visitors while increasing their understanding about plants, landscapes, and natural systems. The implementation of this plan will result in a model for sustainability and campus greening.